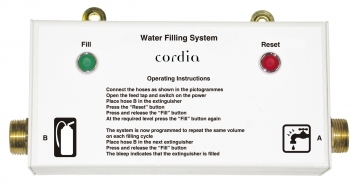 Cordia water filling system for refilling fire extinguishers. Cordia water filling gun for refilling fire extinguishers. Includes digital flow meter.